International Accredited Universities- Philippines is home of top universities that has produced worlds caliber in different fields from medicine, science, business, politics and arts. University of the Philippines, University of Sto. Tomas, Ateneo De Manila University, Polytechnic University of the Philippines and De La Salle University are few top universities that offer foreign studies and have hundreds of foreign enrolls and studies every year. English as Official Language– Philippines is considered as one of the top English speaking countries and top English speaking country in Asia. English is its second official language and that schools use English as theor teaching command. Low cost of living- Foreign students can enjoy balancing their lifestyle while spending less money. In the Philippines, you can rent a dormitory or an apartment unit in just less than $50 or Php2,000 a month. Not to mention the less expense in food, clothing and leisure. Western-based Pattern of education- Education pattern and curriculum in the Philippines is westernize and modern. Since Filipinos are widely recognized in the medical field, more foreign students in the Philippines and taking Medicine, Nursing and other medical courses. Friendly Filipinos!- The Filipinos are natural born hospitable and friendly. That’s what Filipinos are loved for. You can meet a lot of new friends easily and they will tour you around without hearing complaints or aloofness. Filipinos treat you as part of the family, will invite you to come over their house to know you better. That way, you will not miss your country so much because you know you are loved in your new community. Education Programs- To attract more foreign students, the government created different education programs and university programs that aims to provide better education for foreign workers. One of these programs is the ‘Philippine ESL (English as a Second Language) Tour Program,’ in which the study of English forms part of a structured tour package. Studying English becomes more exciting and fun through dynamic and creative ways of learning where participants get to interact, practice, and use English more often in real-life settings thru games, outdoor activities, excursions, and immersions. Aside from learning the English language, participants get to see the beautiful sceneries of the Philippine countryside and immerse with the local culture. Protection, guaranteed!- Colleges and universities that has foreign students has more stricter protection for their foreign nationals students. 24 hour security and schools with CCTV cameras are installed around the campuses. Leisure, Culture, and Fun!- Filipinos are known for always being happy and fun loving. The Filipinos has adapted western culture over the years due to the presence of different nationals in the country. International-owned companies are in the country like restaurants, boutiques, resorts and private companies. Climate and Great Environment– Philippines is a paradise. Noted as one of the best tourist destination in world, the country is the best place to study. You can go to the beach anytime you want to relax after a long week of being at school. The climate is also endearing as Philippines only has wet and dry seasons. 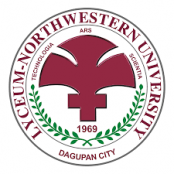 Located in Tuguegarao city, 10 hours from manila by bus, one hours from manila by flight,tuguegarao city airport near the campus government university, tuition fee for 16 month premed is 2450 usd,foreign studentfee 1000 usd , for med proper every year 2000 usd, government university so need to follow all government rules, food and accommodation 2000 usd per year, on and off hostels available , off campus hostels are cheap. Tuition fee for 16 month premed is 2 lakh peso equal to 4500 usd per year (please cal culate in google money converter 200000 peso to usd so will get exact amount) for med proper 200000 peso per year, food and accommodation same like csu 2000 usd per year 3 Bicol christian college of medicine , private , located 10 hours by bus from manila and 1 hours by flight, located lagaspi city, tuition fees. 5 lakh peso for 16 month premed and 2 lakh peso for med proper food and accommodation 2000 USD per year. Located 4 hours by bus from manila tuition fee , 2 lakh peso for 16 month premed and 2 lakh peso for med proper every year, food and accommodation 2000 USD per year. Located Makati city Manila, near 30 minutes by car to manila main airport private, 6 month premed program available, and also 16 month pre med, tuition fee for premed is lakh peso and for first ye ar med proper 2.5 lakh peso, 2nd year med proper 2.5 lakh peso ,3rd year 1.5 lakh peso and for 4 th year 1 lakh peso.food and accommodation 2500 usd per year. Located , laspinas city ,20 minutes by car from main airport manila, for 16 month premed 2 lakh peso , and for proper med 2 lakh peso every year, food and accommodation 2 500 usd per year, 7 emilio aguinaldo college of medicine ,located manila , tuition fee 3 lakh peso for 16 month premed , and 2.5 lakh peso for med proper evry year, food and accommodation 2500 usd per year. located near manila,private university for 16 month premed 3 lakh peso, for med proper 3. 5 lakh peso per year, food and accommodation 3000 usd per year.